EDINBURG — A couple was arraigned on capital murder charges Monday in connection with a double homicide after police discovered two decomposing bodies on an Edinburg property over the weekend. 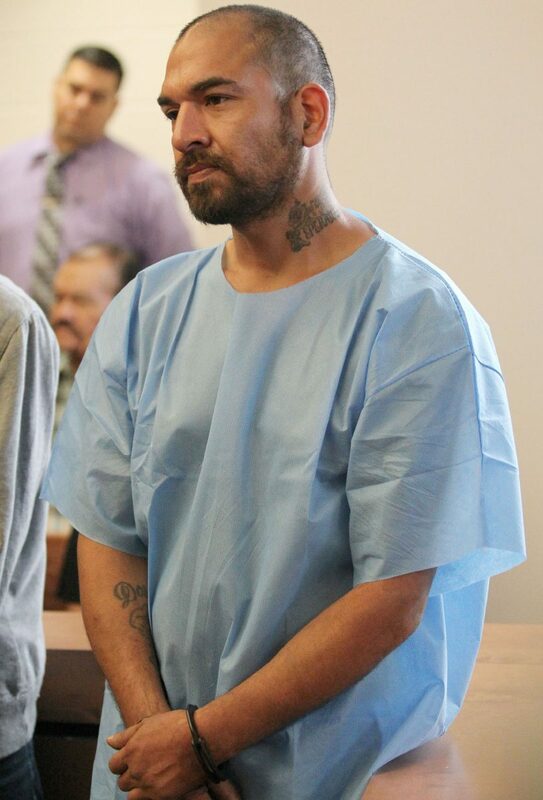 Gabriel Keith Escalante, 39, and his girlfriend Irene Navejar, 40, are accused of beating 53-year-old Alejandro Salinas Sr. to death and fatally asphyxiating 73-year-old Oliva Salinas with a plastic bag April 23. Police discovered the Salinas’ bodies Saturday, after Oliva’s children reported to police that they had not seen or heard from their mother and brother since April 21, according to the criminal complaints tied to the arrests. The mother and son lived in a mobile home at a property in the 8200 block of North Expressway 281, and officers discovered their bodies on the property. The bodies were covered in tarps, and one had been wrapped in a carpet, according to the complaints. Gabriel Escalante, 40, stands before Edinburg Municipal judge Terry Palacios during an arraignment Monday, April 30, 2018. Escalante was charged with two counts, tampering with evidence and capital murder. Bond was set at $1.25 million. 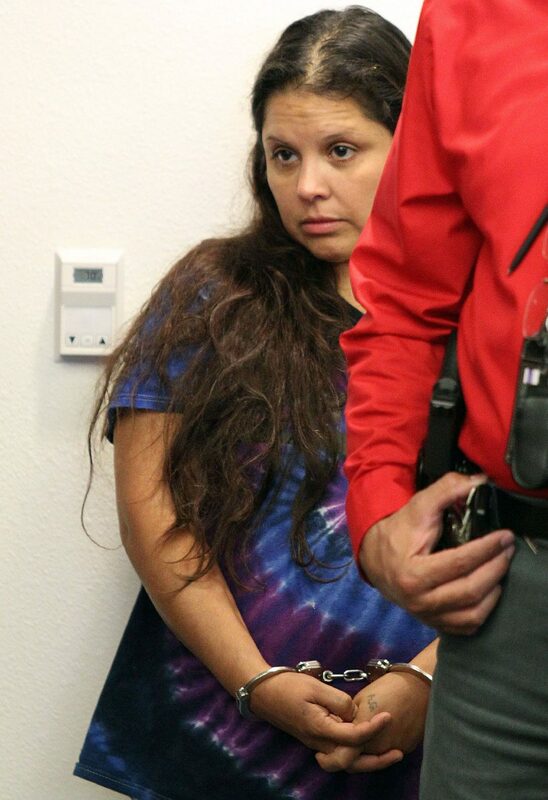 Irene Navejar, 40, is arraigned by Edinburg Municipal Judge Terry Palacios Monday, April 30, 2018 on charges of capital murder and evidence tampering. Bond was set at $1.25 million. Edinburg Police Chief David White said Monday that officers could smell the decomposing bodies upon arriving at the scene. Both Escalante and Navejar allegedly confessed to committing the crime in an interview with investigators Saturday evening, and Navejar said it was the result of “a lawsuit settlement,” according to her criminal complaint. “Right now we’re working on the motives, but right now it looks to deal with just money,” White said following the arraignment. Investigators learned that Escalante was a friend of Salinas Sr. and that he frequented the Salinas’ residence. Navejar also told investigators that she and Escalante returned to the Salinas’ residence in the days following the murder and cleaned the scene with Clorox. In addition to capital murder, which carries a life sentence if convicted, the couple was each charged with tampering with evidence, a third-degree felony carrying between two to 10 years in prison. Edinburg Municipal Court Judge Toribio “Terry” Palacios set each of their bonds at $1.25 million. They remain in custody at Hidalgo County jail.